Apple may stop bundling a Lightning to 3.5mm adapter with its new iPhones this year, according to a new analyst forecast. The Cupertino tech giant has, thus far, included the small accessory with all of its headphone jack-less iPhones — from the iPhone 7 to the iPhone X. But Barclays analyst Blayne Curtis said that this year’s iPhone lineup might not come with the headphone jack adapter. “We currently model no dongle this year,” the Barclays analysts wrote in the investors’ note, which was distributed to clients this week. On the other hand, the analysts noted that their prediction is merely speculation at this point. Barclays added that they won’t know for sure until at least May or June. The move is expected to hurt Apple audio component supplier Cirrus Logic. Alongside the dongle prediction, Barclays lowered its revenue guidance for the supply chain partner by up to five percent — though that financial forecast is subject to change if Apple continues to include the adapter with its new handsets. The investment firm routinely meets with Apple’s supply chain partners in Asia, so its predictions are often pretty accurate. Back before the release of the 2017 iPhone lineup, Barclays correctly forecasted that the dongle would be included with the iPhone 8, 8 Plus and X. At the time, the analysts said that Apple could stop including the Lightning to 3.5mm headphone jack accessory at some point in the future — possibly in the 2018 lineup. 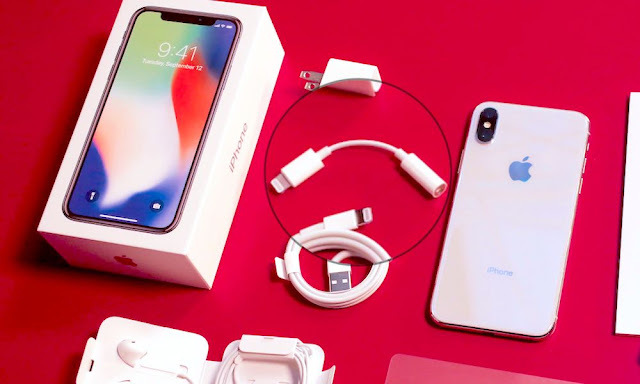 The decision to kill the 3.5mm headphone jack was contentious, but the included dongle might have helped consumers transition to using the Lightning port for multiple applications. With the spread and increasing popularity of wireless headphones like AirPods, it seems that the included accessory was a temporary fix. Currently, Apple offers the Lightning to 3.5mm Headphone Jack Adapter as a separate accessory for $9 on its website. Presumably, it’ll continue to sell the standalone adapter moving forward.